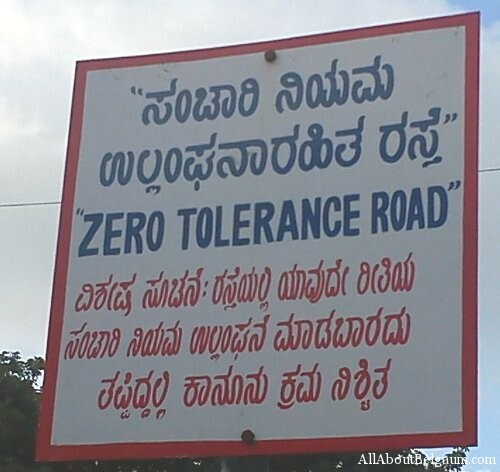 Did you know in November 2010, the city of Belagavi had a ZERO Tolerance Road ? Sweden was the first country to introduce the zero-tolerance principle (Tingvall, 1999). The basis for this vision is the ethical principle derived from road users’ abilities and needs. The design and construction of the transport system is to serve all citizens and ensure that a human error in traffic should not lead to a severe injury. The ultimate goal of traffic enforcement, therefore, is zero fatalities. 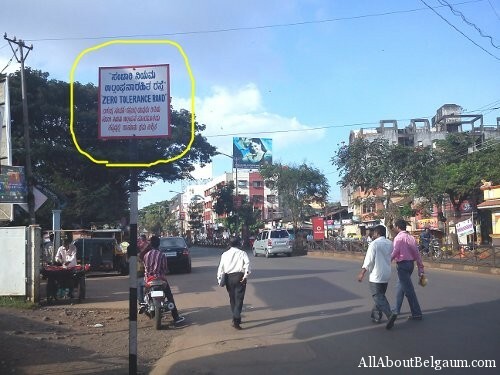 The same must be envisaged by Belagavi traffic and now a board had been put up at Dharmveer Sambhaji Circle which mentioned that this was a ZERO TOLERANCE ZONE. The board mentions that “any traffic offenders will be punished”. Normally ZTS are made so that people are more educated and no one violates any traffic rule. But the long gone vision set up in 2010 is not visible in 2017. After 7 years the implementation of this Zero tolerance must have been added to other areas, but luckily for the citizens the implementation never happened nor in 2010 and nor now. There is no traffic cop to regulate traffic at Dharmveer Sambhaji Circle since years and no one has even thought of it. The police say they have a dearth of staff but we do see traffic cops in groups of 4 catching hold of traffic violators mainly non helmet at Sanchayani circle and Dr.Rajendra Prasad circle, thats 50 mtrs on each side from Dharmveer Sambhaji Circle. This article might just remind the Cops that once there was a Zero tolerance zone they had created and we hope they make more such zones and implement it properly.